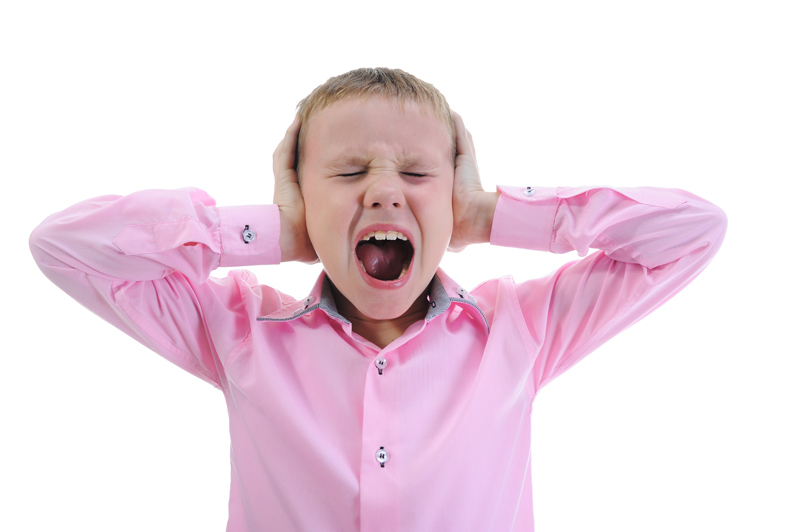 Is it time your brand had a temper tantrum? What’s not to like about making a scene? Do you remember the last time you were in a restaurant or a mall and there was that screaming kid having an uncontrollable temper tantrum? The parent tried desperately to console him. But he was so off the rails that it was unstoppable. Everyone tried to avoid the commotion, but it was like a car crash… you couldn’t look away. You can still see that scene in you mind. It’s permanently engraved. Why not think the same way about your brand? Plan a brand temper tantrum. Be that kid in your marketplace that makes people take notice and try not to watch. The funny part is, they won’t look away and they’ll remember you. Your competition will ridicule you and say how they would never do anything like that. Great! Marketing is all about getting noticed and standing out from the competition. The old zig when everyone else is zagging! As a brand, you have to be brave or you will just blend in. How brave is your brand? Ontario based Kawartha Custom Cut Stone and rock quarry is one of those brands that understands the importance of being the loud kid on the block. Kawartha competes in a rather conservative marketplace. They are focused on getting the attention of landscapers, custom home builders and architects by offering a unique selection of custom cut stone products produced from their own quarry. They cut out the middleman, the stone supply distributers, and let contractors deal direct with the source for consistent high quality custom cut stone products. Kawartha is a true game changer in their industry. Since 2005, their mandate has been to think different. In the initial brand planning sessions, Say What! was briefed to create a memorable brand that resonated with the general public, even though they were not the target market. This brand creation became the iconic “Kawartha Man”. The memorable Letusrockyourworld.com URL supports this consumer facing brand. Over the past years, this new kid in the market has developed a strong presence by providing excellent product and customer support along with a focus on doing whatever it takes to get noticed. Kawartha’s most direct to customer base connections is the annual Landscape Ontario Congress event at the Toronto Congress Centre. With over 600 vendors fighting for attention, this is where the “temper tantrum” thinking becomes essential. Kawartha’s small 200 sq ft booth has continually out performed all their rivals in getting noticed by having tantrums. From the “fresh cuts” butcher store theme to the recreation of the Flintstones house with everyone in costumes and branded dinosaurs running through the show. Everyone waits to see what Kawartha will do and the surprising thing is, all other 599 vendors stay very tame and play it forgettably safe. 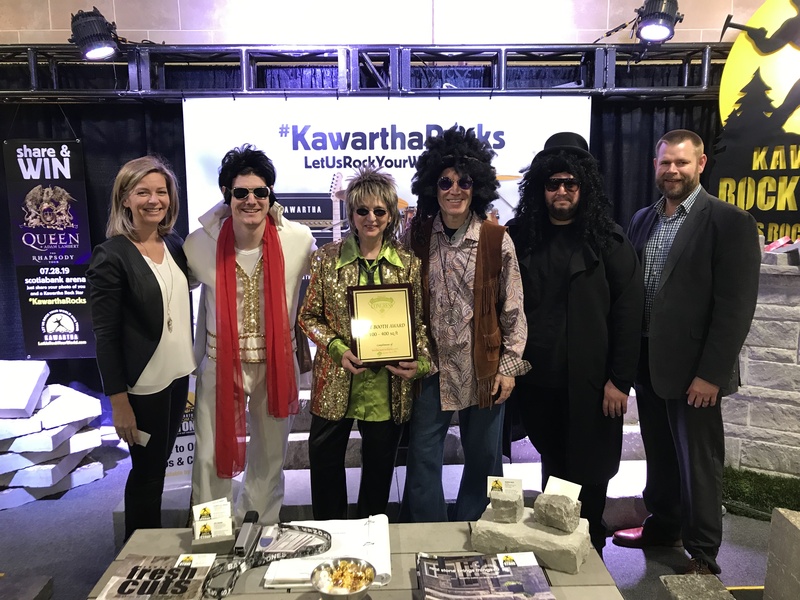 For the January 2019 show, Kawartha focused on owning and driving their “let us rock your world” URL with a “rock” theme. Kawartha Booth wins Best in Show! Driven by their passion not to blend in, Kawartha and Say What! turned the small 10’ x 20’ booth into a rock concert stage with full lighting trusses and stage lighting. A background of a rock platform with customized amp and drum kit and the hashtag #kawartharocks became the photo booth for attendees to take and share their photos with them and the “Kawartha rock stars” – the staff dressed as Elvis, Slash, Jimmy Hendrix, The Beatles and Rod Stewart. And the driver was the share and win social media campaign for a chance to win, very hard to get tickets, to the Toronto Queen concert. The three day event gained attention, new customer traffic and online activity and the booth was awarded the “Best in Show” by Landscape Ontario! . Is your brand brave enough to be that kid throwing the tantrum? How far can bad information go? Is that your wine label talking? Why would you ever play it safe in brand marketing?